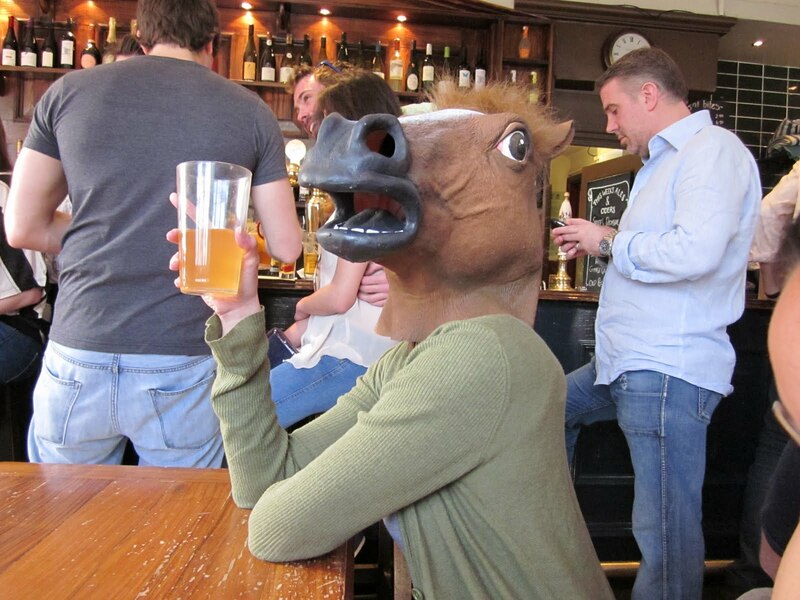 Ah yes, welcome back to the Animal Kingdom, where if I’m not a monkey, I’m evidently a horse…let’s just say my husband and I are big fans of the Grand National and cheer the horses on the best way we know how from the pub. Now the Grand National is a looong-lasting steeplechase, so, just as in the London marathon two days ago, the runners have to pace themselves strategically so they have enough energy to race through the climactic finish. But that doesn’t mean they start walking, and, of course, it’s crucial they stay on track. Likewise, the workshop I attended, “Pacing: Or, How To Keep ‘Em Turning Pages,” at the York Festival of Writing instructed on how to keep the pace of your novel moving without meandering off course. To start, as you can see on the right side of the screen, I’ve just started reading the novel Getting Away With It. I’m doing so for entertainment, yes, but also as a lesson in pacing—it so happens that its author, Julie Cohen, led the above-mentioned workshop, so I thought I’d check ‘er out. 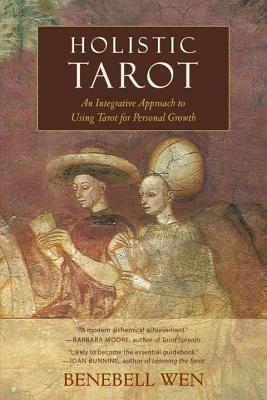 Cohen started out by noting “novel time” and recommended using a blank calendar to map out the story’s timeframe (bearing in mind “reader time,” the timeframe during which the readers actually read it…you want to keep a novel moving, but you also want to work in enough time for your readers to catch their breath). And while a longer novel versus a shorter one can allow more breathing room for character introspection (which are necessary moments), she recommends against over-using it. She’s not talking car-chase, high-drama conflict at all turns but, rather, varying types of conflict—this could be any of the usual types: Man vs. Man, Man vs. Himself, Man vs. Society, Man vs. Nature. A blend of these conflicts are likely occurring in your novel, and Cohen suggests tracking them via a color-coding system to map out how they coincide chronologically. This can help you visualize the interplay of conflict as well as an approximation of your story’s shape. Next up is function. A pacey book is efficient in its storytelling. Among the functions its chapters/scenes serve is moving the plot/subplot forward, developing character, creating emotion/atmosphere/conflict, and imparting information. But if you find you have several scenes serving the same function, either condense them or add in additional functions. A good way to determine this is to make a “scene function” list. Also essential to pacing is starting and ending each scene with a hook, as well as giving your reader variety in mood, topic, theme, and style. To demonstrate the efficacy of this, Cohen had us do a simple exercise with Shakespeare’s Romeo and Juliet (it took a teacher to identify another teacher right off the bat, by the way—her presentation style was straight out of the trenches of keeping teenagers engaged, complete with energy, worksheets, and jigsaw activity. Everyone loved her! :)). Anyway, she’d provided a list of consecutive events from Act 1 Scene 1 to Act 2 Scene 2, and we were to label each with symbols denoting different tones, emotions, characters, and dramatic points of the story. The result is…*drum-roll*…That’s right, variety. You see an interplay of different elements without formulaic repetition. 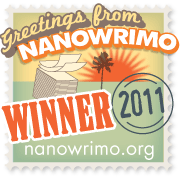 This entry was posted on Tuesday, April 19th, 2011 at 21:00	and tagged with blogging about writing, creative writing blog, getting a novel published, pacing a novel, reading to write, revising a novel first draft, writing a novel, writing a page-turning novel, writing fiction, writing guidance, writing tips and posted in Conflict, Novel. You can follow any responses to this entry through the RSS 2.0 feed. I’m hooked. =] And I like the idea of using a blank calender — very cool concept that should help me with my next novel-length project. I agree with you, Eva, that it could get difficult sticking with anything overly mapped out. I’m definitely tinkering with an outline this second time round and like the color-coding concepts for making me more aware of how function/conflict are interweaving, but whether I’ll actually carry it out remains to be seen. I think just that conceptual awareness is a big plus, and, as the calendar goes, maybe using it mid-way or retroactively as a check could help—like you said, for checking the dramatic arch after the first draft is done.